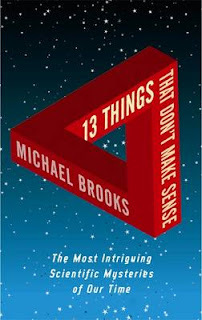 13 Things That Don't Make Sense is a wonderful book by Michael Brookes, which looks at a number of phenomena that scientist struggle to get their heads around. These scientific mysteries include such questions as why can we only account for 4% of the universe? ; the pioneer probes anomaly; evolution's problem with death; life on Mars and why we think we have free will? The accompanying website (click here) provides a brief introduction to each of the questions and allows for registered users to make comments or suggestions. A copy of the book will be in the library from the start of the Trinity Term, but in the meantime why not check out the website? Have you any science questions you can't get your head around. Why not submit them to the blog. We will do our best to give you an answer!